I have to say, I have quite a few objects of desire on my wish list. 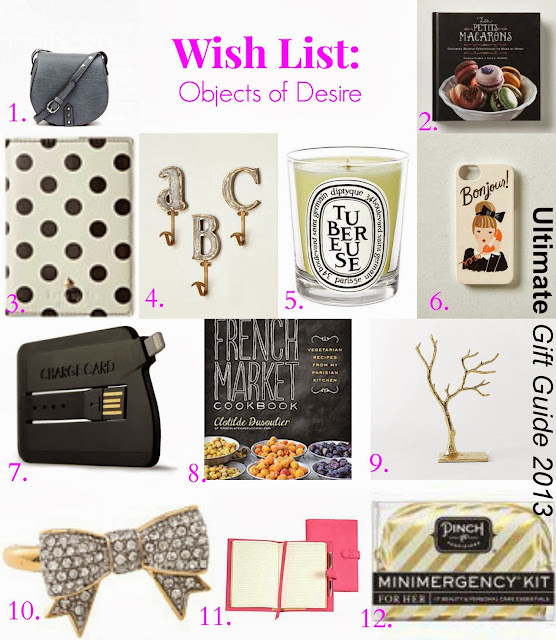 After curating my hostess gift guide list, I thought I'd also share some of the things on my wish list. These are mostly items that I've either run out of like the dyptique candle, things that I've been wanting to try for the longest time and/or possessions that would make me smile, which to me are must-haves. Without further ado, here's my wish list part 1.